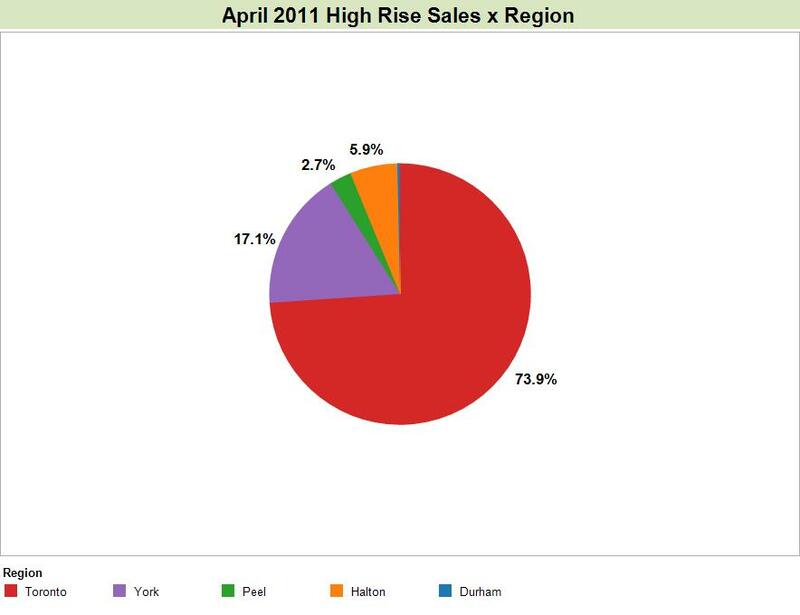 Looking further into the April 2011 high rise sales figure, we find that almost 74% of all sales were in the 416 area, 17% were in York Region, and the final 9% in Halton, Peel and Durham Regions. Splitting the numbers further, we find that 90% of all high rise sales in April were located in only five market areas. 48% in the old City of Toronto, 20% in North York, 13% in Markham, 5% in Etobicoke and 4% in Burlington.